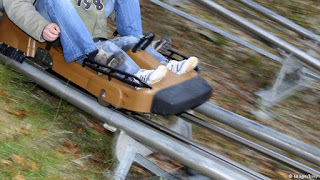 Home -News German Alpine Coaster Severes Boys Leg. German Alpine Coaster Severes Boys Leg. Accident at German's "Fort Fun" Park results in a severed leg. 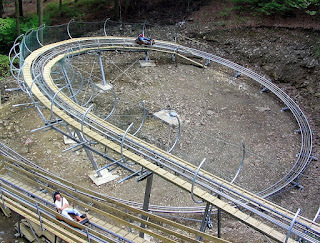 The Fort Fun Mountain Coaster. I find it hard to see a ride malfunction here. It seems like somehow the boy was able to get his leg in front of the ride, where it caught on a piece of track and was dragged underneath the ride car. Alpine coasters do not have traditional roller coaster restraints, most just use seat belts.